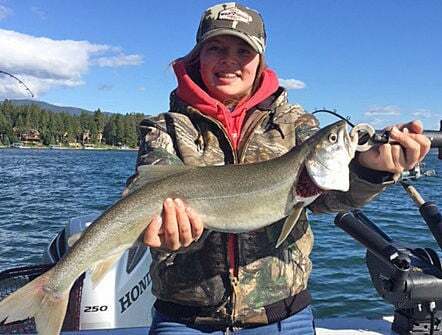 Sixteen-year-old Aubrie Zohner, of Frenchtown, caught this 29-inch lake trout while fishing with her father, Dave, on Flathead Lake on July 2. 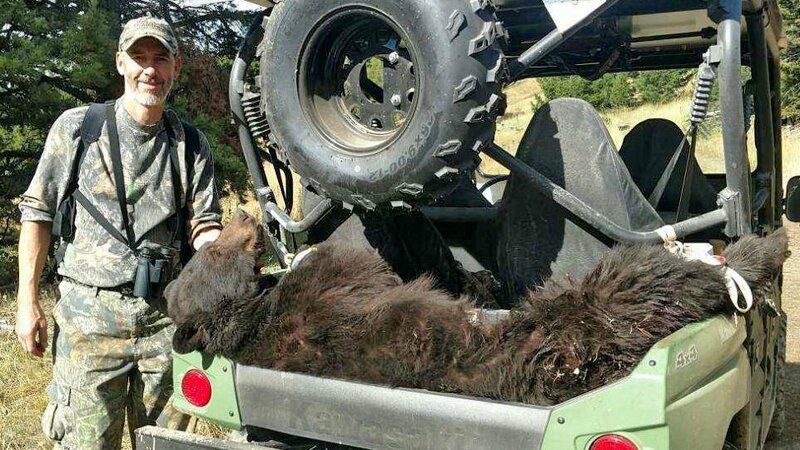 Jerry Norby of Rollins was bugling in a bull elk near Avon on Sept. 21 when this bruin ambled in. Terry McConnell reeled in this 20.3-pound northern pike while fishing on Fork Peck Reservoir west of Snow Creek on Sept. 28 as he was trolling a crankbait. The fish ran several times before being netted. As soon as the fish was boated the crankbait popped out of the pike's mouth. The fish measured 43-inches long. Denise McConnell caught a 30-inch, 11.4-pound walleye on Aug. 25 while fishing on Fort Peck Reservoir.